Meet Mary Caster, our Assistant Controller. Mary has been with The Expo Group for 7 years in our Finance department. Mary has a BBA in Accounting from the University of Texas at Arlington and brings her financial acumen and amazing work ethic to the Finance department, keeping everyone, and every department, on track. When she’s not combing through financials or monthly close, Mary enjoys cooking and gardening. She is also very creative as she made all of her children’s Halloween costumes and wigs. 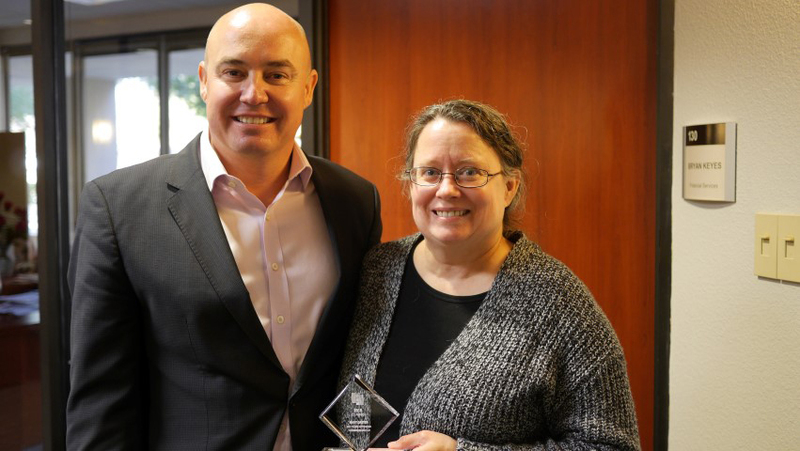 As shown in this picture with President and COO Randy Pekowski, Mary is holding her 2018 ICE Award recipient. ICE stands for our core values of Integrity, Compassion and Excellence which Mary exemplifies in all she does. Congratulations to Mary for this amazing honor and achievement.